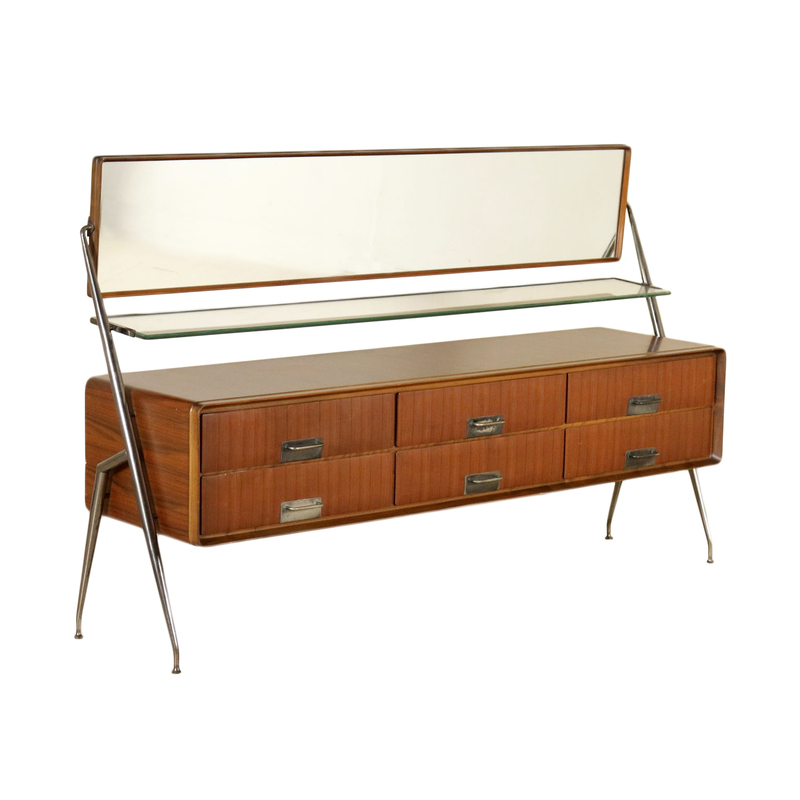 Glass shelf, teak veneer, burnished brass legs and inserts on the handles. A chest of drawers with tilting mirror designed by Silvio Cavatorta. Glass shelf, teak veneer, burnished brass legs and inserts on the handles. Manufactured in Italy, 1960s.